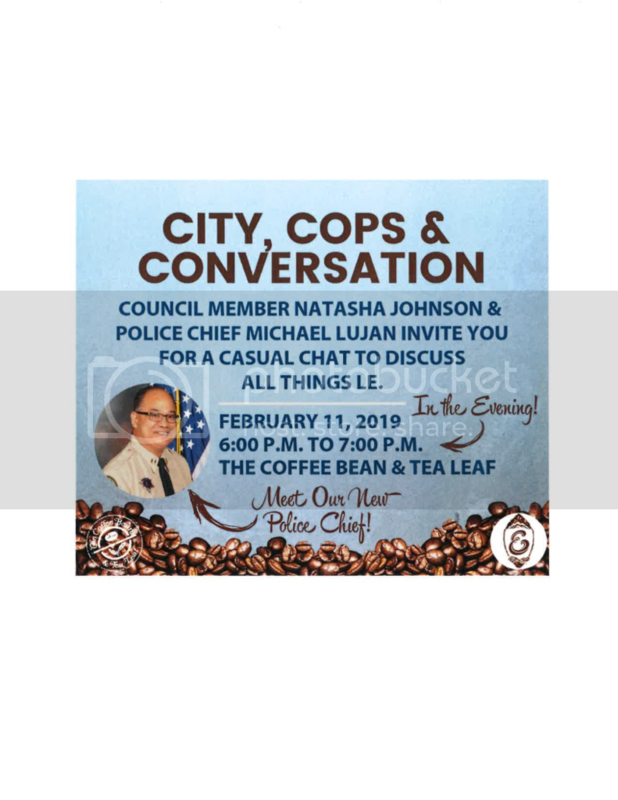 Don't miss this opportunity to come out and meet with our Council Member, Natasha Johnson, and Police Chief, Michael Lujan, to talk anything LE. This event is FREE, and citizens are encouraged to meet, drink, and speak with our City's leaders. This is a casual and intimate way to develop community relationships and have casual conversations!